The ionotropic P2X7 receptor (P2X7R) is involved in bone homeostasis but its role in osteogenesis is controversial. Thus, we investigated the expression of P2X7R and the effects exerted by its modulation in mesenchymal stromal cells from human subcutaneous adipose tissue (S-ASCs), which have potential therapeutic application in bone regenerative medicine. We found that undifferentiated S-ASCs expressed P2X7R and its functional splice variants P2X7AR and P2X7BR. Cell stimulation by P2X7R agonist BzATP (100 μM) neither modified proliferation nor caused membrane pore opening while increasing intracellular Ca2+ levels and migration. The P2X7R antagonist A438079 reversed these effects. However, 25-100 μM BzATP, administered to S-ASCs undergoing osteogenic differentiation, dose-dependently decreased extracellular matrix mineralization and expression of osteogenic transcription factors Runx2, alkaline phosphatase and osteopontin. These effects were not coupled to cell proliferation reduction or to cell death increase, but were associated to decrease in P2X7AR and P2X7BR expression. In contrast, expression of P2X7R, especially P2X7BR isoform, significantly increased during the osteogenic process. Noteworthy, the antagonist A438079, administered alone, at first restrained cell differentiation, enhancing it later. Accordingly, A438079 reversed BzATP effects only in the second phase of S-ASCs osteogenic differentiation. Apyrase, a diphosphohydrolase converting ATP/ADP into AMP, showed a similar behavior. Altogether, findings related to A438079 or apyrase effects suggest an earlier and prevailing pro-osteogenic activity by endogenous ATP and a later one by adenosine derived from endogenous ATP metabolism. Conversely, P2X7R pharmacological stimulation by BzATP, mimicking the effects of high ATP levels occurring during tissue injuries, depressed receptor expression/activity impairing MSC osteogenic differentiation. 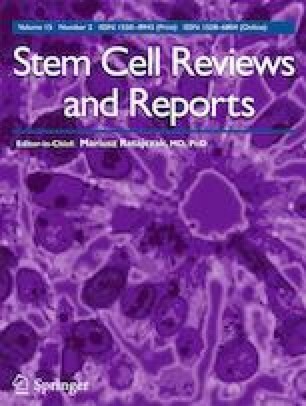 subcutaneous adipose tissue-derived stromal stem cells. The online version of this article ( https://doi.org/10.1007/s12015-019-09883-6) contains supplementary material, which is available to authorized users. FC, PDI and RC conceived and designed the experimental work, assembled and supervised the overall project, analyzed and interpreted the data and finalized the manuscript. MC initiated the project and along with SZ, MZ, PG, CM, ML, MAM, EA and EO performed the experimental work, assembled and analyzed the data, drafted/revised the manuscript. All authors have read and approved the manuscript for publication. This work was supported by funds for research to RC and PDI from the University of Chieti-Pescara. This manuscript has been approved by all authors and is solely the work of the authors named. Orriss, I. R., Guneri, D., Hajjawi, M.O.R., Shaw, K., Patel, J. J., &. Arnett, T. R. (2017) Activation of the P2Y(2) receptor regulates bone cell function by enhancing ATP release. The Journal of Endocrinology, 233, 341–356. doi: https://doi.org/10.1530/JOE-17-0042. Ali, S., Turner, J., & Fountain, S. J. (2018) P2Y(2) and P2Y(6) receptor activation elicits intracellular calcium responses in human adipose-derived mesenchymal stromal cells. Purinergic Signal. Aug. 7 [Epub ahead of print] https://doi.org/10.1007/s11302-018-9618-3.